Quick and easy gifts you pick up quick. 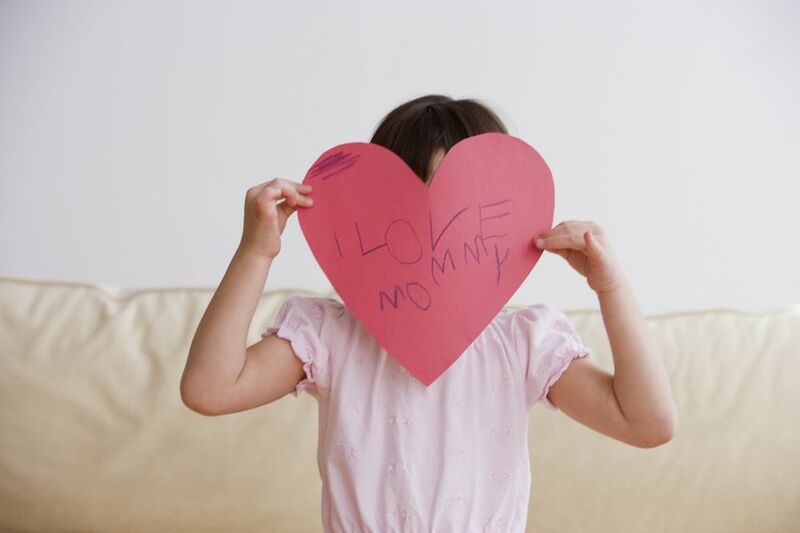 There are certain holidays -- such as Valentine's Day, Halloween and Easter -- that mothers dread for one reason: they involve gifts of candy from parents, grandparents, friends at school and even strangers. However, there's no rule that says gifts for these occasions, especially Valentine's Day, has to be chocolate or even edible. In fact, there are many creative Valentine's Day gifts for kids to mark this special holiday that's all about love. Many little girls love the color red, so mark this red-themed holiday by giving your daughter, niece or special little girl "everything red" as Valentine's Day gifts. Some suggestions are to get a plain red gift bag, and fill it (depending on the girl's age) with red lip gloss, nail polish, hair clips, headbands, t-shirt, doll clothes, pajamas, or search etsy for a hand-made loving gift.. While many of the non-edible gifts for Valentine's Day appeal more to little girls than boys, you can make the holiday festive by giving your little guy some red toys he'll love. Think fire truck, soccer ball, pencils, cowboy hat, red baseball, red cars, red playdough, etc. Instead of that typical heart-shaped box of chocolate, give her the supplies to make a heart-shape jewelry box. At the craft store pick up a heart-shaped cardboard or wooden box as well as heart-shaped stickers, markers or crayons, heart stamps or red glitter glue. (This depends on your tolerance for glitter in the house.) After giving her the supplies enjoy decorating the heart box together. Perhaps each year for Valentine's Day after this you could give her a piece of fun jewelry, like making a charm bracelet with hearts, to put in this box. When we think of Valentine's Day gifts for boys, pink and purple hearts aren't the first thing that come to mind. Nevertheless, you can express your love for your little boy with a heart-shaped gift. In fact, there are many cuddly stuffed teddy bears holding hearts in the store around Valentine's Day that make inexpensive gifts for little boys. Other small gifts could be heart-shaped erasers or a pencil with hearts and the inscription "I love you." All women love flowers, and so do many young girls. Many parents overlook this gift for their daughter on Valentine's Day. Be sure to specify the age of your daughter when ordering flowers, and perhaps the florist will make the arrangement age appropriate by adding balloons, stickers or something sparkly. Next, have the flowers delivered to your home, and when the arrangement arrives, tell your daughter they're for her. She will surely feel special! While some boys may not be excited to receive a bouquet of flowers, they will surely love balloons. Order a half dozen Valentine's Day themed balloons from a local florist and have them delivered to him, and he'll feel extra special. Florists also sell teddy bears and other Valentine's Day gifts that are perfect for your son of almost any age. The best gift to your child, on any holiday, is your time, your attention, your energy, and your presence. We all crave to feel acknowledged, heard and loved. What better way to celebrate Valentine's Day with some one-on-one undivided attention on your child. It's the most sought after gift they could ever wish for. You could write them a love letter telling them how awesome they are. Regardless if they can read you could make this a yearly tradition and put these letters in a safe spot. 20 years from now when they are heading off to college, you can share these letters. What an awesome going away present to your loved on.